Every loving pet owner will agree that it is very hard to resist those big pleading eyes begging for a tiny treat. It is these tiny treats that add up over the course of the day and can easily lead to obesity. If treats make up >10% of the pet’s diet, the nutritional balance of an otherwise healthy diet can be upset. Too many treats can also lead to many other, more serious, health concerns for your pet including; obesity, diabetes in cats, heart and respiratory conditions and exacerbating osteoarthritis. Whilst obesity is a constant issue in humans, we are totally in control of our pet’s diet and it is our responsibility as owners to feed them the correct amount of a balanced diet. We should not decrease our pet’s quality of life and overall comfort by overfeeding. Quite simply, obesity results when calorie intake exceeds calories burnt during normal daily activities or exercise. Contributing factors can include; sedentary lifestyle, breed, age or the presence of other illnesses such as diabetes or heart disease. Overweight pets are at a higher risk of complications during anaesthesia. For this reason, many non-urgent procedures would likely be delayed until weight can be reduced. 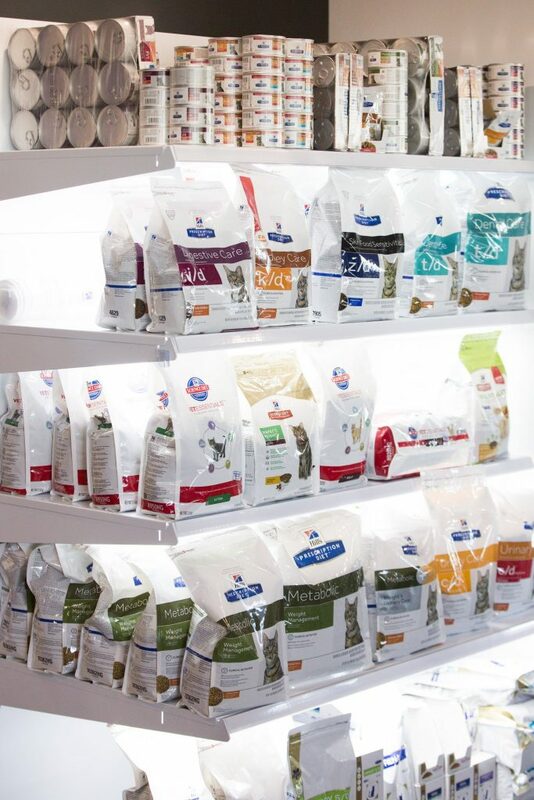 It is vitally important to follow your vets recommendations relating to diet and how much to feed your pet. Weight loss is not a quick process and requires dedicated owner commitment, but together we can increase your pet’s longevity and quality of life.